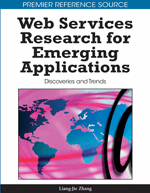 Web services retrieval is a critical step for reusing existing services in the SOA paradigm. In the UDDI registry, traditional category-based approaches have been used to locate candidate services. However, these approaches usually achieve relatively low precision because some candidate Web Services in the result set cannot provide actually suitable operations for users. In this article, we present a new approach to improve this kind of category-based Web Services retrieval process that can refine the coarse matching results step by step. The refinement is based on the idea that operation specification is very important to service reuse. Therefore, a Web Service is investigated via multiple instances view in our approach, which indicates that a service is labeled as positive if and only if at least one operation provided by this service is usable to the user. Otherwise, it is labeled as negative. Experimental results demonstrate that our approach can increase the retrieval precision to a certain extent after one or two rounds of refinement.